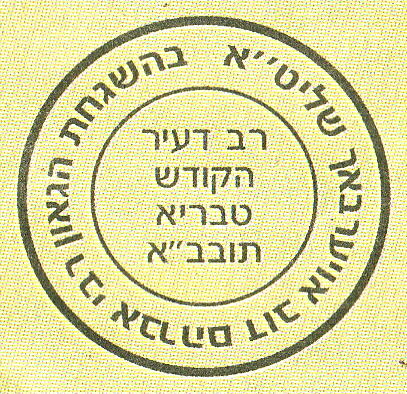 Authority: Rabbi Avraham Dov Auerbach, Tiberius, Israel. Source: advertisement for Yarden wines, Hamodia, 13 April 2005, page B59. Comment: The Hebrew spelling of Auerbach contains an ayin and an alef, אויערבאך . Other A.D. Auerbach hechshers on this web-site do not.